We began our study of the book of Philippians last week, and we spent a little bit of time just looking at verses 1 and 2 of Paul's salutation as he wrote to the church at Philippi. We're going to spend today looking at verses 3 through to 8, which is the part of thankfulness, a sort of prayer in the introduction to this letter. We saw last week that his salutation in verses 1 and 2 really bore out all the themes that you find right throughout the whole of this little book. We'll find today that as we look at verses 3 through to 8, that his prayer of thankfulness for these people also does the same. Just before we even enter into the depths of this book, Paul is wanting to outline very clearly to us what he wants to get across to these Philippian believers. So let's read these verses together once more, verse 1: "Paul and Timothy, the bondservants of Jesus Christ, to all the saints in Christ Jesus which are in Philippi, with the bishops", or overseers, "and deacons: Grace be unto you, and peace, from God our Father, and from the Lord Jesus Christ. I thank my God upon every remembrance of you, Always in every prayer of mine for you all making request with joy, For your fellowship in the gospel from the first day until now; Being confident of this very thing, that he which hath begun a good work in you will perform it until the day of Jesus Christ: Even as it is meet for me to think this of you all, because I have you in my heart; inasmuch as both in my bonds, and in the defence and confirmation of the gospel, ye all are partakers of my grace. For God is my record, how greatly I long after you all in the bowels of Jesus Christ". The subject and title that I've given to this message today is: 'A Pastor's Joy in His People', a Pastor's joy in his people. Now Paul, in verses 1 and 2, changed the conventional salutation and introduction of a Roman-Greek letter into the gospel. We saw that he had this sort of 'midas gospel' touch, that everything he touched turned into the gospel. Exactly the same happens in verses 3 through to 8, as he comes to his prayer, which was often the conventional form in a letter - first of all they told us, in verse 1, who was writing the letter, who he was writing the letter to, and then there's a salutation in verse 2: 'Grace be unto you, and peace'. Then usually, in any Greco-Roman letter, there is this air of prayerfulness and thankfulness to God or to their gods for the health, and particularly here the salvation, of those who he was writing to. He does exactly the same in his thankfulness, his prayer of thankfulness, he changes it into the gospel, and he tells them: 'I thank my God upon every remembrance of you, in every prayer of mine', verse 4, 'making requests with joy'. That is the key to this prayer of thankfulness, this is the epistle of joy - we saw that last Lord's day morning, but he's coming to these believers praying and thanking God for them, and he is able to do it with joy. He is showing a Pastor's joy in his people. I've no doubt about the fact that Paul was wanting to communicate to these believers, and affirm to them, the affection and the love and the devotion that he had toward them. But he's also trying to announce to them the themes of why he's writing this letter to them. We've seen already that the main theme of all of these four chapters is that the believer in the Lord Jesus Christ should be joyful. We spent a bit of time last week analysing what that means, and what it does not mean. The joy of the Bible, the divine joy that God gives to us as a gift, primarily, of the Holy Spirit - we read that in the book of Galatians - is not the result of happenings in our life, it is not the normal happiness that people in the world are seeking after. It does not come through comfortable circumstances, but this joy is something that is deep-rooted in our lives, that is within us when the gospel is making progress, when we see people being saved, when we see the name of Jesus Christ being uplifted - no matter what the circumstances are that we're going through to get to that end, the goal and result of people being converted. Let me show you why that is in this book. Verse 18 of the first chapter bears that out: 'What then? Notwithstanding, every way, whether in pretence, or in truth, Christ is preached; and I therein do rejoice, yea, and will rejoice'. Now what was happening here was that there were false teachers going about preaching the gospel, a false gospel - but they were preaching Jesus Christ. In fact, I think the reason why they were doing it was: because Paul was in prison they thought that by doing this the Roman government would think that the Christianity was just booming, and Paul would get a hammering in prison because of it. But Paul, because his great goal in life and chief joy is to see the gospel advance, rejoices that the name of Christ is heard and preached at all! Even as he is in bonds in prison, perhaps getting beaten for these people preaching it outside, he is able to rejoice that Christ is preached at all. In chapter 2 and verse 17 we see the same sentiment: 'Yea, and if I be offered upon the sacrifice and service of your faith, I joy, and rejoice with you all'. If I have to die through bringing you the faith, through bringing the gospel to the Gentiles, so be it - I will have no greater joy, because my joy does not come in life's fleeting circumstances, my joy comes in a deep-seated satisfaction of knowing that Christ's name is preached and people are being converted. So you see the difference between joy and happiness as people understand it today. Now from Paul was first visiting Philippi on his missionary journey, until he's actually writing this book that you have in your hand before you, there are ten years that have elapsed. During those ten years, if Paul was suffering when he met these Philippians, he is certainly suffering over these ten years. If you turn with me for a moment to the book of 2 Corinthians and chapter 11 we read an enumeration of the sufferings of Paul the apostle, specifically in these ten years that have elapsed since he first visited the church at Philippi. Second Corinthians 11 verse 24, he says: 'Of the Jews five times received I forty stripes save one', most men couldn't survive once going through that. 'Thrice was I beaten with rods, once was I stoned, thrice I suffered shipwreck, a night and a day I have been in the deep; In journeyings often, in perils of waters, in perils of robbers, in perils by mine own countrymen, in perils by the heathen, in perils in the city, in perils in the wilderness, in perils in the sea, in perils among false brethren; In weariness and painfulness, in watchings often, in hunger and thirst, in fastings often, in cold and nakedness'. You could go on and on and on, and there are various other passages within the New Testament that lineate for us the great suffering that the apostle Paul went through. So you don't take it with a pinch of salt when he says that: 'I rejoice through my sufferings'. This is real, and the sufferings that the apostle Paul was going through, I would say, make our sufferings - some of them at least - pale into insignificance. Yet we, perhaps, don't experience the extent of the joy that Paul experienced being shed abroad in his heart. When Paul was in Philippi, of course, the real theme of his message that he was preaching was the message of salvation. We can see through the book of the Acts, when Paul was in Philippi, that there was this joint theme of joy and suffering as he preached the gospel - the two were inextricably linked, they weren't separated. I'll give you one example, Acts 16: where is Paul? He's been beaten, and he's in stocks in the prison with Silas, and they are singing praises unto God at midnight - and what happened? The jailer gets saved, God comes miraculously, brings an earthquake, they're freed, the jailer is about to commit suicide - Paul says: 'Do thyself no harm!'. He says: 'What must I do to be saved? ', and he preaches the gospel to him - but what I want you to see is that the gospel was going forward in Philippi with joy, joined to suffering. That can be reflected in his prayer life, this is a prayer of course - verses 3 to 11, we'll look at the rest of them if we get time next week. It's a prayer, and this joy and suffering is reflected in it. But before we even look at that I want you to see first of all of the phenomenal prayer life of the apostle Paul. Let me ask you the question: if you were doing as many missionary journeys as the apostle, and then you were beaten and you went through all that we read in 2 Corinthians 11, and you're now in prison in Rome again, probably facing death although he didn't, but as far as he was concerned that was probably the end result - would you be rejoicing? Moreover, would you be praying? Yet Paul, in those ten years, with all the great calendar and diary dedications that he had for all the various parts of the Gentile world, he says: 'I'm able to come before God, regularly, and bring your names before God in prayer'. To me that is phenomenal. Verse 3: 'I thank my God upon every remembrance of you' - every time I remember you I shoot an arrow up to God for you! Verse 4: 'Always in every prayer of mine for you all making request with joy' - this was constant prayer! It was always - that doesn't mean he was walking around all the time praying, I believe he was in the attitude of prayer all the time, as we all should be - but as much as he could, I think the sense is, he brought the specific names of these Philippian believers before God on a continual basis. It wasn't just constant, but it was individual. Verse 4 says: 'for you all'. Now this baffles me: either the apostle Paul had a photographic memory, which he probably did, or he had a massive prayer list - but one way or another he brought every name of these Philippians before God in prayer. He didn't come and say: 'Lord, bless the Philippians. Lord, bless the Ephesians, bless the Colossians, bless the Thessalonians'. He didn't do that, he could have done it, but he took their names and he brought them individually and their specific needs before God. More than praying for them, the amazing thing to me is he could thank God for them - every one of them! Now here is where I see a pastor's joy in his people: he could thank God for every single member in the church at Philippi. Now many pastors, I reckon, would have difficulty - and I do not speak for myself! - thanking God for everybody in the flock! But what this tells me is that Paul majored, specifically in this epistle, on his personal relationship with the Philippians. People tell us today, and I think they're right, that personal relations is the key to almost everything in the world. You and I both know human nature, that people like to be thought about, don't they? People like to be remembered. They like to be remembered not with complaint, but with compliments, as Paul is doing here in this epistle. We hear a lot today about public relations, and we tend in the church to pooh-pooh it, and I know why we do that - because we're not into advertisement or anything like that, we're meant to be epistles written unto men, we're meant to be the advertisement! But public relations was important to Paul in this Philippian epistle, because the simple secret to any public relations that you look at is to remember the other people rather than yourself. That is the Christian ethic of public relations. In other words, as we looked in the Sermon on the Mount, if you want people to like you, what do you need to do? Like other people. I hear people in the church say: 'Nobody ever talks to me', and they walk out as soon as the meeting is over and never say 'Boo' to anybody. If you want people to talk to you, talk to people. If you want people to like you, like other people. If you want people to be interested in you, you be interesting to other people, showing your interest in them. Now the more we look down this thanksgiving of Paul, we realise that this is different than any of the other epistles that Paul has ever written. This isn't a historical narrative of what went on in the church, it's not a philosophical treatise or tract, it's not even a doctrinal letter trying to iron out some heresies that were in the church - but more than any of his epistles, this is pastoral. This is a pastor, with the heart of a pastor, coming to his people and wanting to pray for them, thanking God for them and wanting to provide in prayer the great needs that they had as a people - their personal needs. Now if we don't go any further in today's study, there's one thing that this teaches me and it's that there needs to be personal relationships in the church of Jesus Christ. If we are to minister to one another, if I am to minister to you - and don't forget that you have to minister to me, it's not all one way - there has to be personal relationships. We should build those relationships up, we should cultivate them, we should dig the roots of them deep, we should help them not hinder them. Let's move on because we've a lot to get through, because in verses 3 through to 8 there are five specific elements of Paul's Spirit engendered joy that was related to these believers. The first is found in verse 3, let's look at it: 'I thank my God upon every remembrance of you'. Now here's the first thing, take it down, and if you don't bring pen and paper to these studies bring them from next week because you need to take these things down. Recollection of blessing brings joy, recollection of blessing brings joy. Now Paul, here again, as he did in verses 1 and 2, he's not thinking about himself, who's he thinking of? These other people, remembering other people rather than remembering his own needs. Now remember where he is, he's awaiting trial in Rome. The likelihood is he's been beaten and he's going to face death. I'm sure that Paul the apostle, more than you or I, had many bad memories that he could have thought up there in that prison in Rome - but he didn't do it. We find that he was illegally arrested, he was beaten, he's placed in the stocks, he's humiliated before the people. We read in 2 Corinthians 11 about everything that he suffered, but through all of this Paul has joy because people are being converted. The jailer is converted, Lydia is converted, the demon possessed girl is converted - and all the recollection of these believers in Philippi, as he remembers them, as he prays for them, and as he thanks God for them, brings him a great source of joy. That's a basic lesson: recollection can bring joy. We're taught never to rest on our laurels on past blessings, but you know it's a good exercise - especially when you're going through rough times and tough times - to count the blessings of the past. Paul says he gives thanks for them, verse 4: 'Always in every prayer of mine for you all making request with joy', but he's giving thanks in verse 3 'upon every remembrance' of them. The Greek word for 'thanks' is 'eucharisto', it's the word you get 'the eucharist' from that some churches use for the Lord's Supper. All that it simply means in the Greek is 'thanksgiving', and what they're doing is giving thanks for the substitutionary death of Christ. But what Paul is giving thanks for here is for their faith, and for the joy that their faith brings to him. You see, when you start to realise that the church at Philippi were the only church that supported the apostle Paul when he left Macedonia, you can understand why he had great joy in recollecting their memory. When you read that not only did they give to him in that circumstance, but when he was looking money for the church in Jerusalem they continued contributing generously. Then, as we looked further, we find that in the book of Corinthians it tells us that they were very poor, the Christians in Macedonia and Philippi were poor believers, but it was out of their poverty that they gave liberally, sacrificially. When Paul thinks about these things he begins to thank God for them, and it brings great joy to his heart. The question I want you to ask yourself for my benefit and for the rest of our benefit is: am I the kind of Christian that brings joy to my pastor when he thinks of me? Are you? What do people think of when they think of you? 'That boy is a gurner, he's a moaner. She's a gripe, look at the face on her'. Is that the way people think of you? My friend, when Paul recollected these believers and prayed for them it brought him great joy. We ought to be trying to be people, not only that pray for others, and find joy in others, that don't look for the bad in others, not ignoring it but overlooking it in love - but we ought to be people who bring joy to others as they remember us! Well, recollection of blessings brings joy, later on he says: 'I have you in my heart', but he could say here: 'I have you in my mind'. We'll find as we go through the book of Philippians how important the mind is. Although joy comes in the heart it is channelled through the mind, it comes from our attitudes to one another, it comes from our attitudes to work, to money, to possessions, to life in general and specifically to our Lord Jesus Christ. Our attitude affects our life, and joy will never get deep down into our heart unless it comes, first and foremost channelled through our mind. Let's move on, verse 4: 'Always in every prayer of mine for you all making request with joy'. Recollection of his blessings brought him joy, but intercession for others brings him joy. If you look at chapter 2 verse 4 that we looked at last week: 'Look not every man on his own things, but every man also on the things of others'. Another translation says: 'Do not merely look out for your own personal interests, but also for the interests of others'. Paul showed this in the greatest way that you can as a believer, in prayer! Remember the apostle is in great pain, he's in dire circumstances in prison, yet he still finds the time to praise God and to pray for the saints. Now the converse of this is seen when people have a lack of joy, a deficit of joy in their life. You can tell right away. The first thing that you see is that they have not positive thoughts about other people but negative thoughts. It generally comes out of their heart through their mouth when they talk about other people, they've a lack of joy. The second evidence of that is a lack of concern for other people's welfare, when they're looking after number one, they're not really concerned about other people. The third thing is a failure - and this is perhaps the greatest sin for the Christian - a failure to intercede for the people on their behalf. Have you a lack of joy in your heart that is manifest through gross selfishness, self-centredness, pride, often vengeance? What happens is that this self-centredness inevitably manifests itself in prayerlessness! Do you know that one of the greatest evidences of pride that you will find in a human being is the fact that they don't feel that they need any prayer? Paul, on many occasions, could come before all sorts of churches and ask them, plead with them: 'Pray for me! I need your prayer!'. Can I say to you today: I need your prayer on a daily basis, I need it! But you need others' prayer too. There is a pride - it comes, obviously, from our fallen nature - where our natural response to problems and circumstances that infiltrate our life is to bear it alone, go it alone. Stiff upper lip, stoicism, bear it like a man. We feel it's a sign of human weakness, maybe even spiritual weakness to share your needs with other people - do you know what Paul is saying here? God has ordained it that we as believers in the body of Christ should be channels of comfort to other believers to help them and to encourage them! I know that believers generally maybe don't do this, but I also know that believers shut themselves up to the encouragement and the help and the prayer of other believers, and they go on a self-righteous road that says: 'All I need is the Lord'. Well, if all you need is the Lord, the Lord would never have placed you in a body called the church of Jesus Christ. I'm not underestimating the impact of Christ in your life and the fact that Christ is sufficient for every need that you have, but there are times when God has ordained that Christ should minister to your needs through His own body, the church - for we are His arms, we are His legs. At times when you put your arms around someone that is in great need, that hug can as much come from the depths of the bowels and affections of Jesus Christ as if He was standing before you. He got great joy from recollecting the blessings that they brought him, and the intercession that he made before them. Thirdly verse 5, if you look at it, he thanks God for their fellowship in the Gospel from the first day until now. Now that little word 'fellowship' has been translated in other versions as 'partnership', or 'sharing', and that is true because the broadest sense of this word means that they're working together proclaiming the great name of the Lord Jesus Christ, and people are being converted, and there's no greater joy than joining with other people in trying to bring people to the Lord Jesus Christ. But you know there's a deeper meaning, I believe, in this word. This was a consistent partnership and fellowship that is talked about here. He says: 'from the first day until now'. When we look at chapter 4 and verse 14 for a moment you see here that this gives us an enlightening as to what this fellowship really was: 'Notwithstanding ye have well done, that ye did communicate with my affliction. Now ye Philippians know also, that in the beginning of the gospel, when I departed from Macedonia, no church communicated with me as concerning giving and receiving, but ye only. For even in Thessalonica ye sent once and again unto my necessity'. This fellowship is not just lip-service, this fellowship is not just ticking a particular doctrinal assent on a list of theological truths, this fellowship was not simply an agreement on the level of ideas and it wasn't even an attitude of sharing convictions with other people - but it was manifest in the life of Paul through the Philippians by actions! It was the actions that brought Paul great joy. We've got to get away from Christianity that is purely lip-service. We've got to get away from Christianity that is Sunday-go-to-meeting, suit-and-Bible. We've got to get away from it. We've got to move on to something that is from the heart, something that is rooted and grounded in action, that is a costly expression of our commitment to the Gospel. Paul is asking the question: how do I know, why can I have great joy in these Philippians? How do I know that the Gospel is being furthered from their hand? Simply because they are giving up all that they have for the Gospel! It's costing them, and I know that through the price that they are paying the Gospel is going forward, Jesus Christ is being glorified, and sinners are being converted. Participation in the service of the Gospel brought him great joy. We saw last week in verses 1 and 2 that unity is the sign of holiness, not divisiveness. We'll see it again tomorrow night, unity is the sign of holiness - and if the church at Corinth, we'll see tomorrow night, could be united and Paul exhorts them to be united, any church can be united. Not only is unity a sign of holiness and sanctity, but the principle of sacrificial giving to the work of God and to the furtherance of the Gospel is a sign of holiness. Now we're getting a checklist here of a holy life, and I'm not sure which of those two I can really tick - already, and we're only in two weeks of this study! Unity and sacrificial giving. How do we give sacrificially to see that the Gospel is advanced? I'm not talking about giving, I'm talking about giving sacrificially. Let me, as I close, give you one example of it. The book of the Acts chapter 16, turn to it with me, Acts 16. Here we are in Philippi, and Lydia - the Lord has opened her heart and allowed her to receive the Gospel - verse 14: 'And a certain woman named Lydia, a seller of purple, of the city of Thyatira, which worshipped God, heard us: whose heart the Lord opened, that she attended unto the things which were spoken of Paul'. Now watch the proof of her reception of salvation: 'And when she was baptized, and her household, she besought us, saying, If ye have judged me to be faithful to the Lord, come into my house, and abide there. And she constrained us'. Paul had seen, in Philippi, believers who were willing to open their home to the Gospel, to put food on the table for the Gospel, to put petrol in the car for the Gospel, to put money in the box for the Gospel. Do you know the greatest judge of how a church is evangelising? Look at the budget: how much do we spend on it? Oh, it brought him joy that they laid their lives down for him and for the furtherance of the Gospel. It brought him joy that he was interceding for them, and it brought him joy that he remembered their goodness toward him. We can have that joy too, next week we'll look at the other verses in this section, how he was brought further joy from these Philippians. Father, we feel so inadequate when it comes to the aspect of unity and, Lord, the aspect of humility. When we need a centre of reference and a point of gravity, Lord, where else can we look but to the Lord Jesus Christ who, we in later days will have revealed to us in Philippians 2 by Thy Spirit, made Himself of no reputation, but emptied Himself, took upon Him the form of a servant, was found in fashion as a man, and humbled Himself, was obedient unto death, even the death of the cross. Lord, as we relate to our brothers and sisters in Christ, as we relate to a dying and fallen world around, may this mind be in us that was also in Christ Jesus, in whose precious name we pray. Amen. 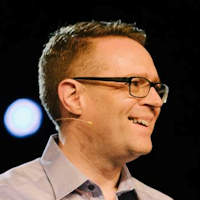 Don't miss Part 3 of 'Philippians': "A Pastor's Joy In His People Part 2"
This sermon was delivered at The Iron Hall Assembly in Belfast, Northern Ireland, by Pastor David Legge. It was transcribed from the second tape in his Philippians series, titled "A Pastor's Joy In His People" - Transcribed by Andrew Watkins, Preach The Word.